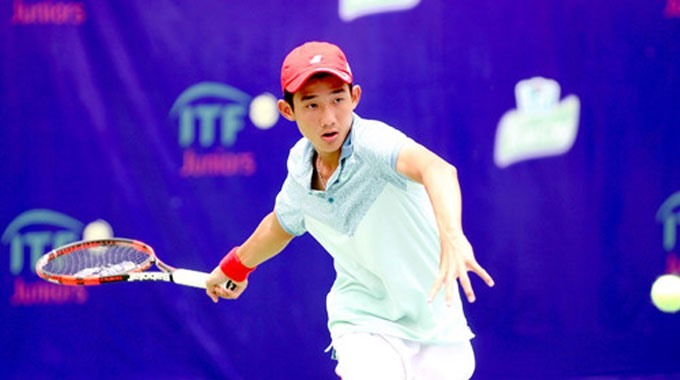 HÀ NỘI — Young Vietnamese tennis star Nguyễn Văn Phương won the men’s doubles final of the Lee Duk Hee Cup in South Korea with Kim Dong Ju from the host nation on Saturday. Phương, 17, and Kim beat the top seeds from Japan Tomoya Ikeda and Keisuke Saitoh 2-1 (7/6, 2/6, 10/7). Phương and Kim managed to outlast their rivals in the third set marathon.